Outlook and Outlook Express Password Recovery Tool offers fastest and easiest way to recover lost or forgotten passwords of all email accounts created on MS outlook and outlook express. Once it has been installed on the computer: mail passwords, identity passwords, logins and news account passwords is recovered within seconds. The password recovery software provides full support to multiple user account on all major versions of Microsoft Office Outlook and Outlook Express. Data Doctor’s password retrieval software is a simple and functional utility that restore lost, misplaced or forgotten passwords of any length and complexity in few seconds. 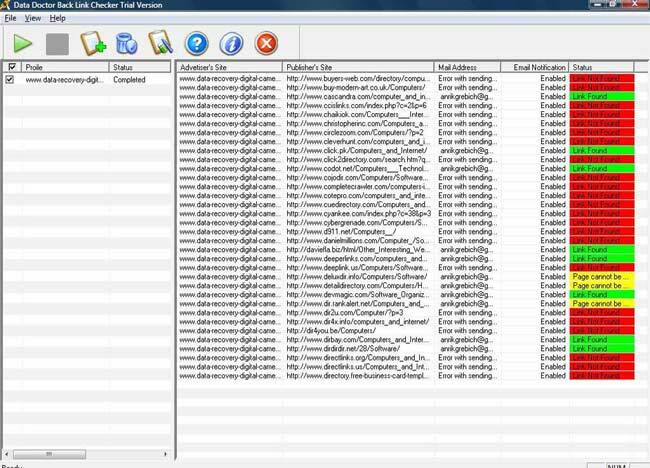 Software facilitates to save the recovered password list at user specified location for future reference. 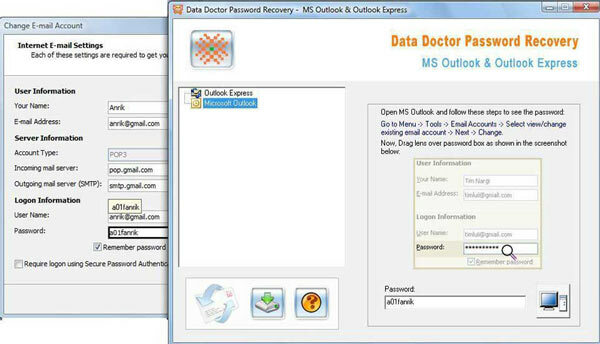 Recovers outlook express and office outlook email/group account saved passwords in seconds time. Restore server information including incoming and outgoing server along with port number for future reference. Recovery of multiple users or identity passwords, hidden asterisk (***) passwords! Retrieve lost or forgotten passwords, login or server names instantly! All recovered passwords can be saved in a text file for future reference. Enhanced support to multilingual password recovery. Support password recovery of any length and complexity.